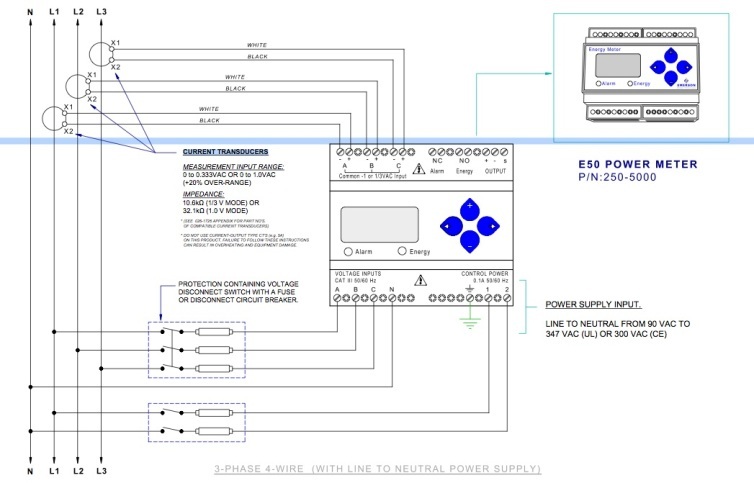 Models 100A to 300,000A for Three phase and single phase systems. 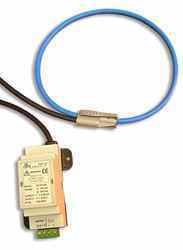 The RCTi & RCTrms sensors convert ac current to an isolated 0-5V voltage or 4-20mA current loop. TA5V-5A allows compatibility with existing 1A or 5A CT metering circuits. Both offer a choice of proportional (rms) and instantaneous outputs. The available RCT current ranges are 0-100A to 0-50,000Apk. Both RCTi and RCTrms provide accurate measurement over a wide bandwidth ensuring precise measurement even with harmonically distorted wave shapes - using a flexible clip-on sensing coil. The RCTs are available as single and three phase models. 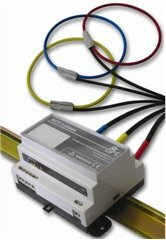 The RCT sensors can provide all popular process control voltage and current loop outputs along with custom output options. Because the current sensors are split core, installation is possible without shutting down the electrical supply - saving down-time costs. Typical applications are retrospective energy monitoring in factories, offices, process control systems like PLC, SCADA Data logging systems, all where power, energy and current monitoring is important. Typical loading situations are factories, shops, offices, ac/dc VFD drives, ultrasonics, welding, power conversion and power distribution. For all RCT models, a NIST/NPL (UKAS) traceable calibration certificate and certificate of conformance is supplied. All RCT sensors use UL or CSA approved materials. The RCTi, RCTi-3ph and RCTrms are ideal for retrofit replacement for medium/large current, split core current transformers operating with transducers. Excellent performance at power frequencies 1Hz to 1MHz, also ideal for VFD drives and induction heating. 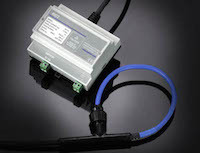 The new RCTi and RCTrms current sensor/transducers are suited to permanent or semi permanent installation. The coil sensor is durable, thin, lightweight, flexible and will easily clip-around the conductor. The output from the transducer can be ac voltage (RCTi, RCTi-3ph) or a true rms output (RCTrms). Typically the RCTi is used with data loggers, oscilloscopes, data acquisition cards, power analyzers, harmonic analysis and in power quality applications. The RCTrms is used in process control Scada Systems and industrial power applications, where a dc output represents the rms ac current. The RCT1A current probe has a 1A secondary current output - current sensing is based on a Flexible Core Loop. 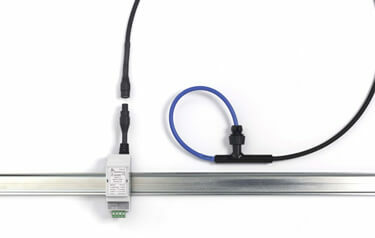 The RCT1A is a 1A output Flexible current probe. 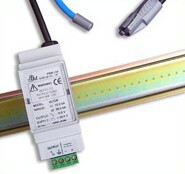 The TA module is used for interfacing existing RCTi and IRF current probes to existing 1A or 5A metering circuits. 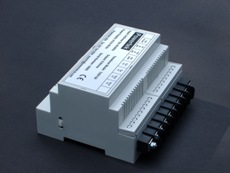 The TA module converts the RCTi/IRF voltage output to 0-1A or 0-5A signal. Unlike conventional CTs, there are no open circuit hazards, these are ideal with installations in confined spaces. The RCT1A, RCT/TA5V-5A combination simplifies installation and eliminates the need for expensive LV/HV plant shutdown. The Powertek TA module can be used with the economic fixed frequency TA current sensors or to convert the wideband RCTi probe voltage output to 0-5A. In addition, these modules are used to convert any voltage output current measuring device to a 1A or 5A secondary. Used with standard RCTi & IRF current probes.